I had a Whipple surgery in 2006. My Vit D level is 14 now, doctor says it should be above 40. 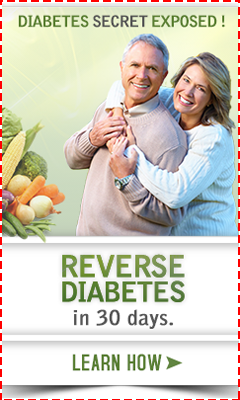 He has prescribed vitamin D capsules,50,000 units 2 times a week for 30 days (8 capsules total). I am concerned about absorbing this amount of Vitamin D with my dudodenum having been removed for the Whipple surgery. Will this twice a week dosage cause me any problem with my digestion or absorption or side effects? I'm a bit confused about what, exactly, you are worried about. You say that you are worried about the vitamin d being absorbed. Do you mean that you are worried about it NOT being absorbed?? The reason that I ask it in the second half of your question, it sounds as it you are concerned that the vitamin d is somehow going to prevent absorption of other nutrients or somehow disrupt your digestion? Is that the case? If not, please clarify your concerns because I'm a bit confused. Yes, I am concerned about NOT being able to absorb the vit D prescribed by my doctor. In addition to my duodenum being removed, my gall bladder was also removed in the Whipple surgery and I have difficulty digesting and absorbing fats. Isn't vit D a fat soluble vitamin? In what part of the digestive tract is vit D absorbed? I am also concerned if there could be any side effects of non-absorbed vit D on my small intestine and/or colon as it passes down my digestive tract. So, your concern is 'overthought' because right now you are getting zero vitamin d. If you take vitamin d, you will be absorbing 'some', so at least you will be getting 'some' rather than none. I could understand not wanting to take it because you are concerned about problems, but NOT taking it because you won't absorb it means that you are not absorbing any. You're getting zero vitamin d while you wonder if you will absorb it! And most people who have had surgery to remove part of their stomach and/or digestive tract may have to take higher dosages, but they don't 'not' absorb it- any more than you don't 'not' absorb fat, you just don't absorb large amounts of fat at any one time. But if you couldn't absorb ANY fat, then you wouldn't be alive, so you DO absorb SOME fat, just likely not as as efficiently and not as much as those with healthy digestive tracts would. So, for an example most people need between about 3800 to 5000 IU's per day. You might need (as an example) 6000 IU's per day or even 12,000 IU's per day to get your level to within the optimal range. Simply get more frequent levels done- maybe once a month- and adjust the dose that you take until you are in range and then maintain that dose. As far as side effects, you are not going to have side effects from undigested vitamin d. It's a TINY amount of fat and you would have no more problem with it than if you were to eat a 1/64th of a tsp of butter. You MIGHT still get Side Effects of Vitamin D, but that will have nothing to do with 'undigested fat' from the supplements- even people with perfect digestion run a risk of side effects. It has nothing to do with 'undigested fat'. There is a risk of having side effects from anything new that you put into your body, but there is no more of a risk taking vitamin d than anything else and the risk doesn't come from 'not digesting' the infinitesimal amount of fat that is in a tiny tiny little capsule. 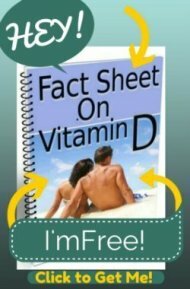 If you are concerned about side effects from taking vitamin D, making sure that you get all of the Vitamin D Cofactors, like I provide in my Vitamin D Absorption Pack, is the better way to prevent these problems. Plus, it will give you the magnesium and fat soluble vitamins that you are not getting because of your inability to digest fats. If you aren't digesting fats, then you are not 'just' not getting vitamin D, you are also not getting Vitamin E, A, and K, which are all provided in the absorption pack.